Fantasy Gold would not have been possible without the prior works of the respective Bitcoin, Peercoin, Blackcoin, Talkcoin, Dash, PIVX and Bulwark teams. We’d like to thank these teams for continuing to improve upon open source Blockchain technology which has been a spring board for new innovations and a new digital revolution. Our most important thanks is to the original DFSCoin community who HODL’ed through it all. They supported our project, and believed in us. They say that Blockchain empowers the people but without a community its just bits of data in cyberspace. WILL LOSE ALL OR SUBSTANTIALLY ALL OF ITS VALUE, IS UNKNOWN. Fantasy Gold built by the developers of DFSCoin to swap its blockchain to use the latest advancements in Masternode services and decentralized community governance. 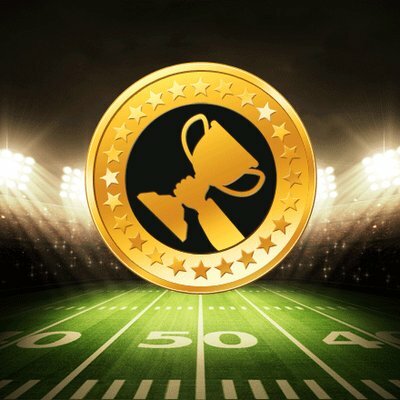 Fantasy Gold is a peer to peer crypto currency aimed at serving the growing fantasy sports industry in both the B2B and B2C spaces. Fantasy Gold acts as both an in game currency used to enter contests and pay prizes as well as a payment processing network governed by its community. Our coin is more secure for both the end user and fantasy sports sites. Transaction costs are fractions of a penny and our blockchain and open ledger players can be confidant their deposited funds are safe and used only to pay out prize pools. Fantasy players can secure Fantasy Gold on their personal desktop wallet. Players only need to send Fantasy Gold from their personal wallet to fantasy sports sites to top off their account and enter contests. Fantasy Gold can be encrypted and or backed up and saved off­line to a USB or other air gapped device. The wallet only needs an Internet connection to sync with the Fantasy Gold blockchain, send transactions or when used as a staking wallet once we enter our proof of stake phase. The Fantasy Gold blockchain is an encrypted structure of data that represents an open financial ledger and as such FG deposit addresses can be easily and publicly verified. This will allow site owners to publicly display the total amount of deposited funds being held to cover prize pools or the total available FG available to cover guaranteed prize pools and tournament events. Using an open financial ledger players can be assured that deposited player funds are properly segregated from company expense accounts. Fantasy Gold transactions cannot be reversed which eliminates the increasing risks and fees associated with charge back fraud. Because the Fantasy Gold blockchain and network is decentralized there is no central authority that can freeze your funds unlike traditional centralized payment processors and banks. In effect merchants, players or even casual holders of Fantasy Gold are acting as their own bank and payment processor. When end users make deposits or purchases using Fantasy Gold merchants can store funds on a private and encrypted desktop wallet or be securely stored off line or a paper wallet. Transactions sent to off line and can be monitored and confirmed by simply viewing the Fantasy Gold block explorer. An open source and free to use Fantasy Gold API will be published on the projects block explorer. The source code for the explorer in the Fantasy Gold public software repository hosted on Github along with the full Fantasy Gold source code for public inspection. small transaction fee that is awarded to miners who process the transactions and Masternodes who verify the transactions. Anyone with access to standard desktop graphics cards can act as a miner and anyone who holds 10,000 Fantasy Gold coins can run a Masternode on a basic VPS, server or even a raspberry pi with a static IP address. This ledger of past transactions is called the block chain as it is a chain of blocks. The block chain serves to confirm transactions to the rest of the network as having taken place. The transactions are collected in blocks, which are found approximately every ninety seconds in a random process called mining. As transactions transfer ownership of Fantasy Gold coin balances, each of these blocks represents an update of the user's balances on the network. By following the blockchain from the Genesis Block and applying all transactions that were validated in each block in the correct order, you arrive at the current status quo. These digital ledger entries are distributed among a decentralized network infrastructure of Masternodes. These additional Masternodes and layers in the infrastructure serve the purpose of providing a consensus about the state of a transaction at any given second; they all have copies of the existing authenticated ledger distributed amongst them. Masternodes are authoritative in the since that they check the work provided by miners. When a new transaction or an edit to an existing transaction comes in, generally a majority of the Masternodes within a blockchain implementation must execute some algorithms and essentially evaluate and verify the history of the individual blockchain block that is proposed, and come to a consensus that the history and signature is valid, then the new transaction is accepted into the ledger and a new block is added to the chain of transactions. If a majority of Masternodes do not concede to the addition or modification of the ledger entry, then it is denied and not added to the chain. This distributed consensus model is what allows blockchain to run as a distributed ledger without the need for some central, unifying authority saying what transactions are valid and (perhaps more importantly) which ones are not. To verify the legitimacy of a transaction, or avoiding the so­called double­spending. Transactions are bundled together into what we call a block. Miners verify that transactions within each block are legitimate. To do so, miners should solve a mathematical puzzle known as proof­of­work problem. A reward is given to the first miner who solves each blocks problem. Verified transactions are stored in the public blockchain. This “mathematical puzzle” has a key feature: asymmetry. The work, in fact, must be moderately hard on the requester side but easy to check for the network. This idea is also known as a CPU cost function, client puzzle, computational puzzle or CPU pricing function. All the network miners compete to be the first to find a solution for the mathematical problem that concerns the candidate block, a problem that cannot be solved in other ways than through brute force so that essentially requires a huge number of attempts. When a miner finally finds the right solution, he/she announces it to the whole network at the same time, receiving a cryptocurrency prize (the reward) in our case FG is provided by the protocol. This threshold, called difficulty, is what determines the competitive nature of mining: more computing power is added to the network, the higher this parameter increases, increasing also the average number of calculations needed to create a new block. This method also increases the cost of the block creation, pushing miners to improve the efficiency of their mining systems to maintain a positive economic balance. Masternodes help secure the Fantasy Gold network by making it more decentralized, providing a consensus for every transaction. Masternodes are nodes (servers) that run the Fantasy Gold wallet software that provide additional services to the network including, instant and private transactions. However the one of the more important features are decentralized community governance and budgeting systems and the ability to publish immutable proposals to the community with the means to vote on proposals. For providing these important services, Masternode owerns are rewarded a portion of each block. These changes in the block reward split and the switch from Proof­of­Work to Proof­of­Stake happen automatically and are hard­coded into the Fantasy Gold blockchain and cannot be changed any one person, central authority or bad actor. We are able to give the times at which changes will occur because these events are programmed to take place when the blockchain reaches a certain hight or number of blocks, the Genesis Block or first block to be created is block zero (0) and a new block is created every 90 seconds. The 90 second block spacing means that 960 blocks will be created every 24 hours. Once Fantasy Gold switches to a PoS network wallets holding Fantasy Gold will ‘Mint” coins by letting them mature. The minting process involves holding coins in a wallet and then unlocking the wallet and staking those coins. Wallets that stake will earn 45% percent of the block reward. This algorithm, know as Proof­of­Stake allows users to generate more coins without the need of any hardware or high electricity costs. Proof­of­stake is a different way to validate transactions based and achieve the distributed consensus. It is still an algorithm, and the purpose is the same of the proof of work, but the process to reach the goal is quite different. Unlike the Proof­of­Work, where the algorithm rewards miners who solve mathematical problems with the goal of validating transactions and creating new blocks, with the proof of stake, the creator of a new block is chosen in a deterministic way, depending on its wealth, also defined as stake. Dark Gravity Wave is employed by Fantasy Gold from the start as a method of retargeting PoW difficulty. It uses a simple moving average that can respond to large nethash increases or drop­offs in just a few blocks. This alleviates the “stuck block effect” often caused by multipools and prevents one person adding a substantial amount of computing power from instantly solving more than a few blocks. The National Institute of Standards and Technology (NIST) opened a public competition on November 2, 2007, to develop a new cryptographic hash algorithm – SHA­3, which will augment the hash algorithms specified in the Federal Information Processing Standard (FIPS) 180­4, Secure Hash Standard (SHS). The competition was NIST’s response to advances in the cryptanalysis of hash algorithms. NIST received sixty­four submissions in October 2008, and selected fifty­one first­round candidates on December 10, 2008; fourteen second­round candidates on July 24, 2009; and five third­round candidates – BLAKE, Grøstl, JH, Keccak and Skein, on December 9, 2010, to advance to the final round of the competition. Eighteen months were provided for the public review of the finalists, and on October 2, 2012, NIST announced the winning algorithm of the SHA­3 competition – Keccak. Masternodes are, a decentralized network of servers that serve the Fantasy Gold blockchain. Masternodes perform important network functions and receive part of the block rewards. Masternodes help the Fantasy Gold ecosystem by stabilizing coin supply, processing transactions, and securing the network. Masternodes require 10,000 FG and modest technical knowledge to operate. Any Fantasy Gold wallet holding 10,000 FG can set up a Masternode. Masternodes like simple nodes are authoritative in nature but using SwiftTX provides Mastnernodes with the ability to lock and consensus transactions. When a transaction is submitted to the network, a group of Masternodes will validate the transaction. If those Masternodes reach consensus on the transaction’s validity it will be locked for later introduction into the blockchain, greatly increasing transaction speed compared to conventional systems (like Bitcoin’s 10 minute block times with multiple confirmations). SwiftTX makes it possible for multiple transactions to take place before a block on the network is mined with the same inputs. This system is based on Dash’s InstantSend. (Kiraly 2017a). 2017). This feature is extremely useful and allows the network to react quickly to security vulnerabilities. Fantasy Gold user will be able to run their Masternode from either an onion address or an IPV6 address. With TOR Masternode support, Masternodes can be run as a TOR hidden service. This allows users to operate Masternodes out of their home network without revealing their home IP, location or the dangers of potential attacks or compromise. The Fantasy Gold community is the most important factor behind the long­term success of the project, and their ability to meaningfully influence the future of the coin is paramount. As such, at the end of the PoW phase we intend to activate budget superblocks on the network. These superblocks, paid monthly, will enable the community to exert meaningful control over all aspects of Fantasy Gold's development, brand presence, and community affairs. Delaying the activation of this system will give us time to develop the underlying framework necessary for a positive user experience, and maximize block rewards available to miners and Masternodes. •Start in our Discord chat, and talk with some of the seasoned users. Gauge interest and if the response is positive, move to the next phase. •Utilize multiple social media platforms to discuss and get feedback. Remember that Fantasy Gold has a a diverse userbase and differing levels of governance participation, reaching a portion of the userbase will often require some footwork. Take note of these discussions and be able to cite them in the formal pre­proposal. The more citations provided, the better. •Be open to suggestions from the community and developers. Be flexible and willing to incorporate external ideas and suggestions in your proposal. •Create a formal pre­proposal on the Governance­>Pre­Proposal section of our website. Provide citations for all discussions that occurred from the previous step. Treat your pre­ proposal as if it is what will be submitted to the blockchain for voting. •Upon completion of these steps, you will submit your proposal to the blockchain. Be prepared for two fees, one at the time of submission and a ballot fee paid to the developer that activates your proposal on the blockchain. The submission fee is non­refundable, and the balloting fee will only be paid upon approval and activation of your proposal. •Everyone is free to adjust their proposal to include the reimbursement cost of these two fees. Please make sure in your formal proposal you state that you are adding reimbursement to the stipend requested. •Be sure to get back in touch with everyone you spoke with so your idea will be voted on. For a proposal to be paid out, 10% of the eligible Masternodes must vote ‘yes’ on your proposal. This process of getting a 10% consensus can be much harder than it sounds, so be diligent, informative, and respectful in procuring the votes necessary for your proposal to be paid. We have decided to utilize the SeeSaw reward system popularized by PIVX (jakiman 2017). The SeeSaw reward system begins with a 9:1 block reward ratio (favoring Masternodes), and smoothly adjusts the ratio of reward between staking and node operators until around 41.5% of coins in circulation are locked into Masternodes, at which time staking rewards reach a slight advantage over Masternode rewards on a coin­by­coin basis. The reason we have the SeeSaw slightly favoring staking rewards is because we want to avoid the problems ­ like significant price volatility and low liquidity ­ that impact coins with very­high percentages of their circulating supply locked in nodes. This strategy will mitigate user frustration over access to coin supply and maintains the relevance of our robust network. With one of our goals being a well­supported platform for anonymous commerce, transact­ability is of the utmost importance to those accepting Fantasy Gold and those holding Fantasy Gold. Aumasson, L.M., Jean­Phillipe Henzen, 2013. SHA­3 proposal: BLAKE. Available at: https://131002.net/blake/blake.pdf. Bertoni, G., Daemen, J., Peeters, M. & Van Assche, G., 2012. The keccak sha­3 submission. Available at: https://keccak.team/files/Keccak­submission­3.pdf. Bitcoin Core Team, T., 2017. Bitcoin developer reference. Available at: https://bitcoin.org/en/ developer­reference#block­headers. Chang, S.­J., Perlner, R., Burr, W.E., Turan, M.S., et al., 2012. Third­round report of the sha­3 cryptographic hash algorithm competition. Available at: http://nvlpubs.nist.gov/nistpubs/ir/2012/NIST.IR.7896.pdf. Ferguson, N.L., Schneier, S., Whiting, B., Bellare, D., et al., 2010. The skein hash function family. Gauravaram1, P., Knudsen, L.R., Matusiewicz, K., Mendel, F., et al., 2012. Grøstl – a sha­3 candidate. Wu, H., 2012. The hash function jh. Available at: http://www3.ntu.edu.sg/home/wuhj/research/jh/jh_round3.pdf.